This adorable, cuddly alpaca doll belongs in the hands of every child. Machine washable. PacaBuddies Plush Stuffed Alpaca Animal Toys are the cutest things since…. alpacas! 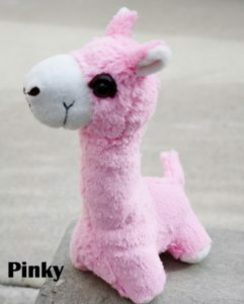 This cute little toy makes the perfect alpaca lover gift. Take one to the office to keep you company. Of course alpacas do not like to be alone so you might want to get a complete set! Plush toy is 100% Polyester. Made in china. Recommended for children 3 years and up.